Use pheromones and pheromone traps for pest control without the use of insecticides. 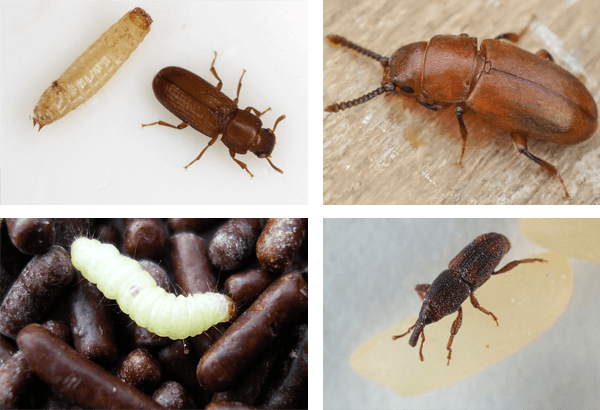 The term stored product pests describes those pest that infest edible or not products during their processing or storage. 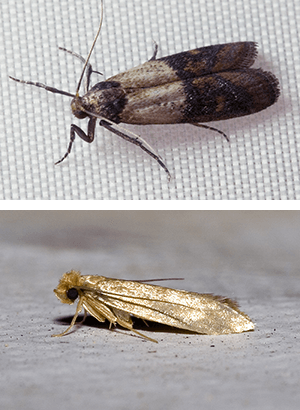 This category includes mites and many insects belonging to the coleopteran and lepidopteran families. Besides the damage both in quantity and quality, stored product pests may also cause health problems to consumers. The presence of insects or their residues (frass, molts, hair, scales etc) in products during processing or storage is often associated with allergic reactions. Constant monitoring is essential for early detection and the prevention of infestation. This can be achieved with the use or pheromone traps. Using species specific traps one can detect the onset of infestation early enough before it develops into a serious problem. It is important that pheromone traps are selected according to the pest species intended to monitor.